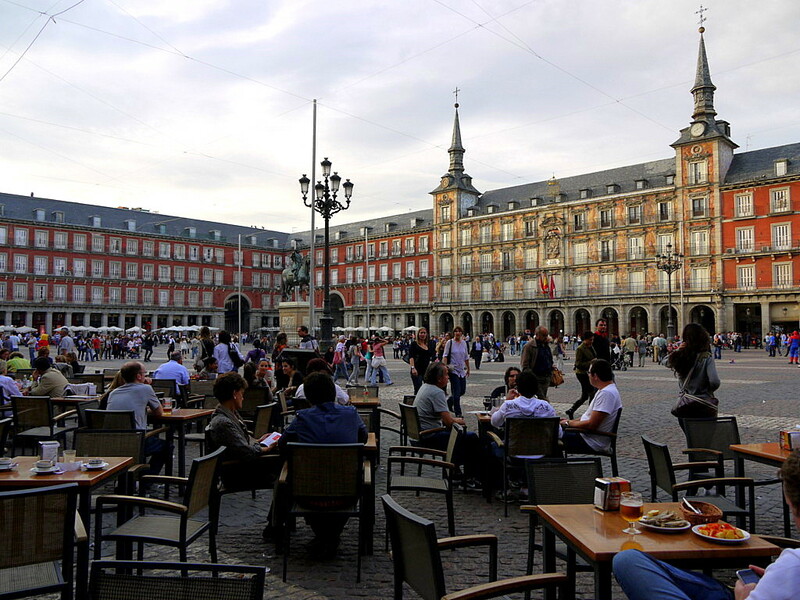 The capital of Spain is no slouch when it comes to fine dining, and whether you want a taste of authentic Spanish cuisine or something more exotic, you’re guaranteed to find what you’re looking for. 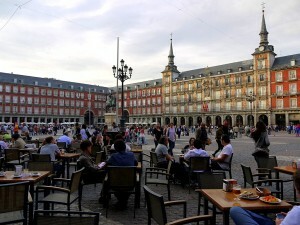 Anybody booking hotels in Madrid in the near future can take some inspiration from this guide when looking for somewhere to eat. If you’ve travelled to Spain before, you probably know that their approach to mealtimes is a bit different to ours – the Spanish tend to eat up to five times a day, with lunch usually being the “main” meal. This may take some getting used to, but on the plus side it means you have more opportunities to sample Madrid’s great food! This upmarket bar is a great place to get a fresh twist on tapas – from skewers with quails’ eggs and chistorra to sirloin carpaccio, along with a good choice of wines and cocktails. There’s also a pleasant outdoor terrace where you can enjoy your nibbles in the sun, and plenty of space to relax in the main bar itself. For the truly indulgent gourmet, Zalacain offers the very best of traditional Spanish cuisine. Prices are undoubtedly high, but the quality is second to none – sample their legendary pigs’ trotters stuffed with wild mushrooms, or ravioli with foie gras and truffles. Note that a jacket and tie are required for men! This is the place to go if you love a good steak, against a backdrop that’s full of traditional Argentine charm. While steak is the star of the show here, you’ll also find a good selection of pasta and salad dishes and an extensive wine list. Madrid may be a long way from the sea, but this bustling, noisy restaurant still manages to serve up an impressive selection of crab, lobsters, squid, shrimp, clams and much more. It’s best to turn up early as the restaurant doesn’t take reservations: it’s a strictly informal, hands-on eating experience. Japanese food has really caught on in Madrid, and one of the best examples is this surprisingly affordable little place. With innovative takes on tempura, sushi, noodle and sashimi dishes, there’s plenty to enjoy here, with friendly staff and a relaxing atmosphere.